The Trieste collection is a gorgeous soft and drapey peachskin. Not to be confused with microfibre, peachskin is the highest quality, very finely woven polyester fabric. Because this fabric is woven so finely (down to 0.001 denier) it means this fabric does not crease easily. Perfect for occasions when you need a fabric that will not crease such as travel wear or special occasion wear for bridesmaid dresses. 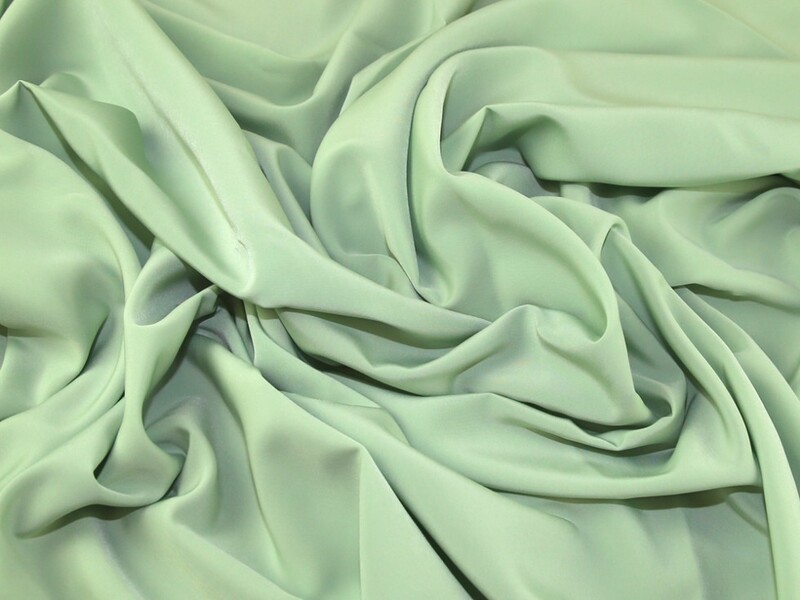 It is a medium weight fabric that it is perfect for making lots of different garments but is particularly suited to loose unstructured styles such as Jackets, Dresses, Tops, Skirts, Trousers and more. Peachskin has a beautiful softness and drape whilst still retaining body and weight unlike any other fabric. It is very easy to sew (when you use a very fine needle) and comes in a wide range of colours for all occasions. Once again very good quality from Minerva. Very happy! this is the nicest microfibre/peachskin fabric I have ever sew with. It has a very nice weight and drapes so well. I made a cowl neck evening dress and it got lots of lovely compliments!